When a person decides that it is time to get into shape, usually they want to build muscle and lose fat. These two goals are often difficult to accomplish at the same time. In order to lose fat you need to consume fewer calories, while to build muscle you need excess protein to use as building blocks. The best way to accomplish both of these goals at the same time is to use intermittent fasting. Intermittent fasting is when you periodically fast for a short to medium duration. When first starting to fast, the easiest way to begin is with skipping breakfast. Eat a normal or slightly larger dinner the night before then skip breakfast, this will allow you a roughly 16 hour fasting period. If you wake up at 8 am and eat lunch at noon, then you will only be without food for four out of the sixteen hours which is not challenging. As you get accustomed to short term fasting, you can slowly start to increase duration by eating dinner earlier and lunch later. Eventually you will be ready to skip lunch in addition to breakfast and do a 24 hour fast. Fasting is easier if you are on a low carb diet such as the paleo diet or Atkins because your body eventually adapts to burning fat for energy instead of carbohydrates. I’m sure that you believe me when I tell you that fasting can help you burn fat, but how is it that fasting can help you gain muscle too? There are many benefits of fasting but two of the most important benefits are reduced insulin level, and increased production of HGH. Insulin is a hormone that is released in response to eating, the more carbs and sugar you consume the more insulin is released. Although insulin is required for metabolism, excessive insulin leads to increased hunger and fat storage. A high insulin level will also result in your body stopping production of HGH. (Human Growth Hormone) is a hormone that is responsible for growth during childhood, building muscles and maintaining bone density. Since fasting reduces your body’s insulin levels because you are not consuming any food, your body will release HGH instead. 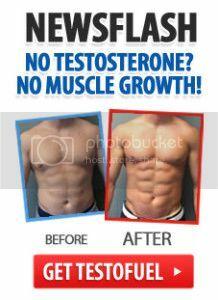 HGH not only helps you build muscle but also stimulates your body to release fat from fat cells to be burned for energy. Having an elevated HGH level is what allows you to lose fat while putting on muscle. High HGH levels make building muscle much easier. HGH also prevents your body from burning muscle for energy while you are dieting which is important. 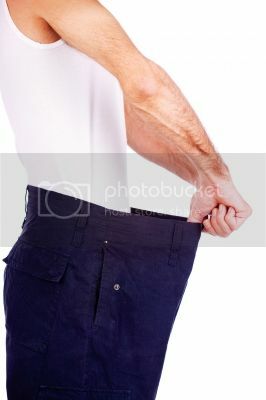 Normally while dieting, 25% of the weight a dieter loses is from lost muscle mass. Fasting helps to prevent that problem by releasing fat to be used as energy so your body never needs to use muscle. After day 2 repeat the cycle. This allows you to have plenty of protein when your body needs it for building muscle, but you also have a 24 hour fast. During the fasting period you will have low insulin and high HGH which will lead to rapid fat loss. It is important to wait roughly an hour after you finish your lifting to eat dinner. Weightlifting stimulates your body to release HGH during and after a workout. If you consume a protein shake right after you finish working out, your insulin level will increase and prevent your body from releasing HGH when you need it most. If you wait an hour after lifting to eat then you get the benefit of higher HGH from lifting but you get protein to your muscles fast enough to allow muscle gain. expertise are weight lifting, fat loss, nutrition and the Paleo diet.